What does the Israeli military's rise in power mean to Christians today? Another example of how mighty the Israeli Defense Forces has become is Operation Thunderbolt which occurred in June and July of 1976. On June 27, 1976, an Air France flight from Tel Aviv to Paris made a stopover in Athens. It let off some passengers and picked up some new ones. Among the passengers they picked up were four terrorists consisting of two Palestinians and two Germans. They hijacked the plane as soon as it took off and took the plane to Benghazi, Libya where it was refueled. Then they flew it a great distance to the southern part of Africa to the nation of Uganda where President Idi Amin was waiting to welcome them. All of this had been pre-orchestrated. He was part of the deal and he was delighted to have all this attention from the world. Upon landing, four more terrorists joined the group. They preceded to separate the hostages. All the Jews were identified and herded into a recently abandoned yet brand new terminal building. The rest of the passengers were released and flown to Paris. Amazingly, the Air France crew decided to stay behind with the Jewish hostages, so the number of hostages including the crew was 106 people. The hijackers immediately issued an ultimatum. Israel was to either release the 53 terrorists held in Israel and four other countries, or all the hostages would be killed by July first. The Israeli government immediately launched negotiations with the terrorists while considering a military alternative. As a result of the negotiations, the hijackers postponed the date. They postponed it to July 4, 1976. 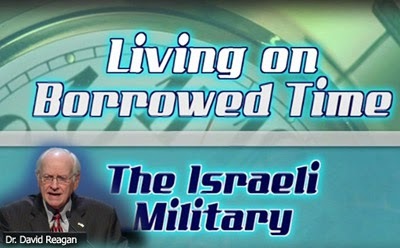 After the deadline was postponed, a military alternative began to be considered by the Israelis. It's just unbelievable what Israel was up against, for they were talking about a military operation 2,500 miles south of Tel Aviv. The hijackers, Idi Amin, and all the people in Uganda never even occurred to them. Never once had the Israelis ever considered there would be any kind of military action because the distance was just too far. As it turned out, the Israelis had two advantages. The first was they were able to interview all the passengers who had been released. That was a big mistake of the terrorists, because they could tell the Israelis in detail about the building and where the people were being held. Second, and this is unbelievable, the Israelis discovered that the abandoned terminal building had been built by an Israeli company. They were then able to get all the blueprints of the building. Coincidence? Lieutenant Colonel Yoni Netanyahu, or Jonathan Netanyahu as his nickname was Yoni, was selected to lead the commando assault team. He was the older brother of the man who now serves as the Prime Minister of Israel today. He is Benjamin Netanyahu's older brother. Although Yoni was only 30 years old at the time, he had accumulated an outstanding record of military leadership and daring which advanced him early to the position of Lieutenant Colonel. To prepare the team for the attack, Yoni came up with an idea that has been followed by military and police forces around the world since that time. He took bales of hay and put them end to end, laying out the exact floor plan of the building to the exact size, including all the doors and so forth. Then his team practiced mock assault after mock assault on this mock building as they prepared, just in case the Israeli Cabinet said, "Go get them." Well, the Israeli Cabinet did finally say, "Go get them!" And so, on July 3rd, they launched the attack. The attack came out of an air base in southern Israel. Yoni used four Lockheed C-130 Hercules airplanes and two Boeings 747 in the raid. More than 100 personnel were recruited. They were divided into five teams. Yoni's assault team consisted of 29 elite commandos. A second group was assigned the job of encircling the new terminal building, immobilizing it, and killing all the Ugandan soldiers. A third was given the task of destroying all the MiG fighters on the ground. That was very important because they didn't want those fighters coming after these big, old, slow airplanes. A fourth group was assigned the responsibility of refueling the Israeli airplanes. Finally, a fifth squad was put in charge of rounding up and evacuating the hostages. The mission was launched and set on the afternoon of July third. The planes flew nearly all the way at an altitude of 100 feet to avoid radar detection. Just try flying a plane as big as a Boeing 747 or one of these Hercules at 100 feet. It's not easy. The flight took seven hours and 40 minutes. They arrived just one minute behind schedule. Uganda was on a different time than Israel, but they arrived one minute behind schedule at 12:01 AM, which is the beginning of July 4, 1976. The surprise blitz attack proved successful beyond any expectation. All seven of the hijackers who were present were killed, together with 33-45 Ugandan soldiers, and all eight MiG fighters on the ground were destroyed. Three hostages died in the crossfire. As the commandos went in they began to yell, "Get on the floor! Get on the floor!" Some of the people didn't understand Hebrew and they stood up and got shot. Ten more hostages were wounded. One was left behind because she had been taken to the hospital. A total of 102 hostages were taken back to Israel alive. Five Israeli commandos were wounded. Only one commando was killed, and that was Yoni Netanyahu, the leader of the raid, himself. 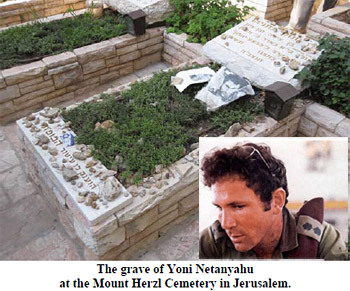 His grave can be seen at Israel's National Cemetery, which is a place that I always visit when leading tours to Israel. The entire raid including the refueling of the planes and the evacuation of the hostages took a total of only one hour and 39 minutes. To this day this amazing raid is considered to be one of the most outstanding examples of military planning, coordination, and execution in the entire annuals of history. What does Israel's military rising into a world power today all mean to Christians at the beginning of the 21st Century? What does it mean to you and me? What message should we take home? I can assure you it means a lot. Think about it. God is fulfilling promises He made to Israel over 2,000 years ago, and He's fulfilling them in precise detail. That should get you excited for two reasons. First, it's a definite sign that we are living in the season of the Lord's return. Second, it should assure you that God is going to precisely fulfill every promise He has made to you and to me, to His Church. I get so excited every time I see God fulfilling promises for the Jews, because I know it's an absolute guarantee that He's going to fulfill every promise He has made to you and to me. He has promised that one day very soon Jesus will appear in the heavens to rapture the Church out of this world. The dead in Christ will be resurrected first, then those of us who are alive will be taken, not even experiencing death. We will be translated from mortal to immortal in the blinking of an eye. We'll then be taken back to Heaven where we will be judged of our works to determine not our salvation but our degrees of reward. Then we will celebrate our union with Jesus at a great Wedding Feast. At the end of that wedding feast, Jesus is going to stand up and say something like, "OK, let's go!" Jesus will return to this earth, and we will come with Him. We will be there in Jerusalem to witness His arrival on the Mount of Olives. We will be there to witness the salvation of the remnant of the Jews. We will hear Him speak that supernatural word which will result in the instantaneous destruction of the Antichrist and his armies. And we will then shout, "Hosanna, Hosanna" as Jesus descends into the Kidron Valley on His white horse and rides up to that Eastern Gate to institute his thousand year kingdom here on earth. Maranatha, come quickly, Lord Jesus! The operation at Entebbe proves that the IDF can, and will, plan, rehearse and then execute in total secrecy a military operation that no friendly nor even opposing force military commander would believe has an acceptable risk-reward ratio. All other military forces considered such an operation to be completely impossible; this included the US Pentagon. Moreover, the Israeli Cabinet did not know about this operation until all of the mission aircraft were airborne and enroute at an altitude of only 100 feet (to avoid radar detection) to the Ugandan target over 2,500 miles away. The totally over-the-top aspect of the Raid on Entebbe was an unprecedented OPDEC (OPerational DECeption) that Brigadier General Daniel Shomron added to the already audacious plan to rescue the Israeli hostages. That aspect was that the lead IAF C-130 Hercules, with Yoni Netanyahu and his elite Sayeret Matkal commandos onboard, mimicked a Ugandan Air Force C-130 and included as cargo a spot-on replica of the Mercedes limo Idi Amin was so fond of. The Israeli's arrived suddenly, their approach undetected by Entebbe ATC and they then successfully convinced the airport tower that their aircraft was Idi Amin Dada returning from an OAS meeting at Port Lewis on the Indian Ocean's Republic of Mauritius. This is Special Operations Forces operating at their top-notch, textbook finest! The Iranian Ayatollah and his military forces should be similarly surprised in the near future. Thank you for filling in the details, Sean - excellent info! Iran indeed better not underestimate the Israelis. It's details like these, along with the Lord's will being expressly fulfilled, which convinces me that the IDF will soon militarily conquer all of Lebanon, much of Syria and a large chunk of western Jordan in the upcoming "Inner Ring War." These soon-to-be-possessed lands are delineated in Joushua 13:2-6. In modern-day terms these lands extend from Wadi al-Arish (south of Gaza) to Sidon (in central Lebanon) to Gebal (north of Beirut) all the way to Hamath on the Rover Orontes, 120 miles north of Damascus. The rest of the text of Joshua 13 rounds out Israel's future frontiers.